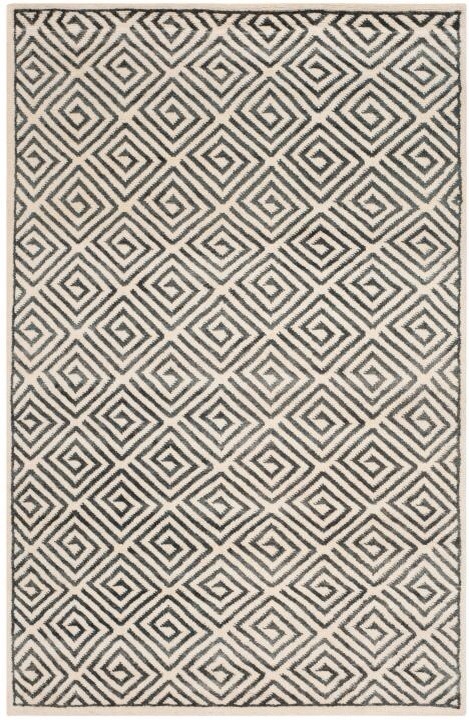 The classic geometric motifs of this flat weave dhurrie is at home in both classic and contemporary settings. Pure wool is used to best recreate the original texture and soft colorations of antique dhurries prized by collectors. The dhurrie weave is native to India, and every step in the production process faithfully follows the traditions of local artisans. 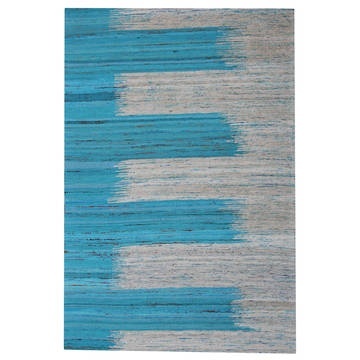 The results are natural, organic and with wonderful nuances in pattern and tone. 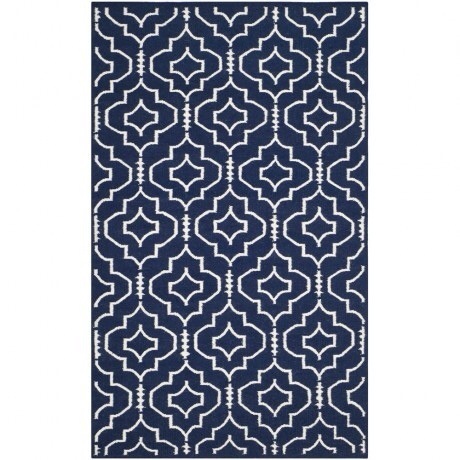 This ha nd crafted collection of reversable flat weave rugs made from 100% pure wool has been created by artisans in India – interpreting classic Greek key and Moroccan tile motifs. Emulating the organic beauty of Moroccan rug weaving, the Lina rug from the Casablanca 800 collection by Safavieh is hand-tufted of pure long pile wool. Simple graphic motifs in natural white and black provide a neutral foundation for transitional rooms.